My name is Sarah De Mul. I am Professor of Literature, Culture and Diversity at the Open University in the Netherlands. I am also affiliated with Universiteit Antwerpen (Postcolonial Literatures Research Group) and a board member of PEN Flanders. I received my PhD at the University of Amsterdam (2007) and previously held a NWO Rubicon Postdoctoral Fellowship at the University of Leiden (2008), a FWO-Postdoctoral Fellowship at Katholieke Universiteit Leuven (2008-2012) and was Guestprofessor at Ghent University (2013-2014). My publications and research interests are situated in the field of comparative postcolonial studies with a particular focus on literatures in Dutch and English. My current projects explore adaptations of postcolonial theory in the Low Countries, ethnic minority writing in Flanders and European (colonial) writing about Africa/the Congo. For my work on multiculturalism and Dutch and Flemish literature, I received the scientific prize 2014 granted by KANTL, the Ghent-based Royal Academy for Dutch Language and Literature. Apart from my academic research, I wrote Retour San Sebastian. 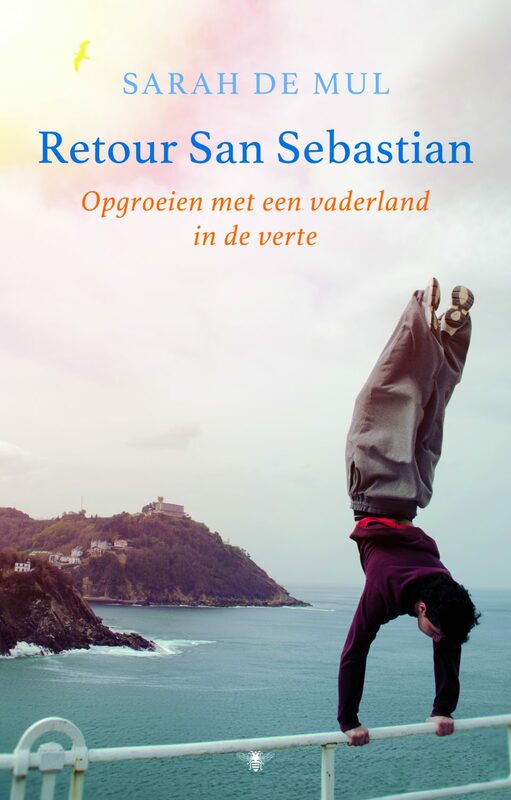 Opgroeien met een vaderland in de verte, a memoir about the Basque city of Donostia-San Sebastian in which I search for my daughter’s connection to the Basque Country, cultural heritage and language and in doing so, try to explore broader questions about the emotional force of narratives and the power of culture to divide and unite (De Bezige Bij, 2017). The book was nominated for the VPRO Bob den Uyl prijs, the prize for best literary travel book of 2017. Previously I wrote a study of issues of colonialism and memory in contemporary women’s travel writing (Colonial Memory, Amsterdam University Press, 2011) and a Dutch-language monograph on multiculturalism in Flanders entitled Een leeuw in een kooi. (Meulenhoff-Manteau, 2009, with K. Arnaut, S. Bracke, B. Ceuppens, N. Fadil; M. Kanmaz). I am co-editor of Commitment and Complicity in Cultural Theory and Practice (Palgrave Macmillan, 2009, with B. O. Firat and S. van Wichelen), Literature, Language, and Multiculturalism in Scandinavia and the Low Countries (Amsterdam/New York: Rodopi, 2013, with W. Behschnitt and L. Minnaard) and The Postcolonial Low Countries (Lexington Books, 2012, with E. Boehmer). Welcome to this website and thank you for your interest in my activities! Do not hesitate to contact me if you have any further queries.